Registration is now open for New Writing North’s Creative Writing for Teachers programme. Creative Writing for Teachers will commence in January 2019, with five meetings over the remainder of the academic year. The popular course, which is now in its seventh year, offers teachers the chance to work with a range of professional writers and facilitators to develop their own creative writing skills. The workshops allow for both personal and career development, as well as being a space to share ideas and reflect with peers on teaching creative writing. Creative Writing for Teachers is open to teachers of all levels and key stages. Participants have told us that taking part in the course has left them feeling more confident when teaching creative writing in the classroom. The course costs £99 per teacher for the year. Sign up using this online registration form. Registration closes Friday 21st December. 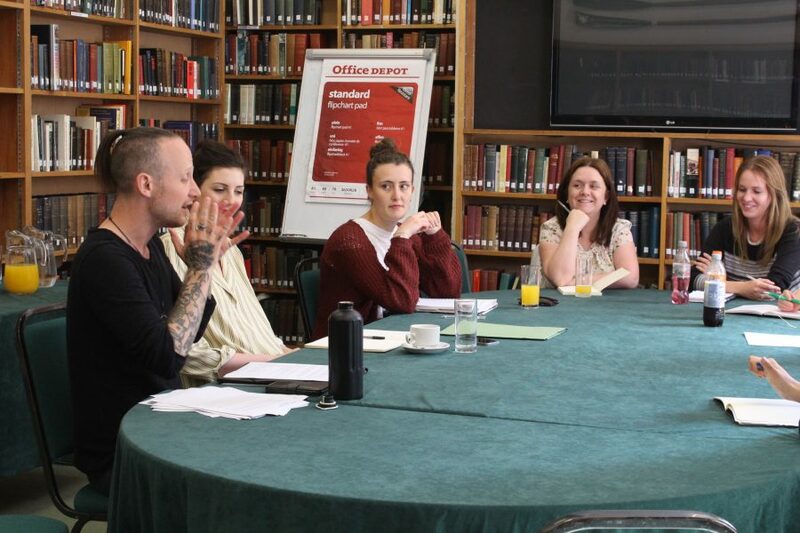 More information about Creative Writing for Teachers, including PhD research on the benefits of the programme, can be found at our Creative for Writing for Teachers project page. For further information contact Holly Sinkinson (Programme Officer: Participation and Young People) by e-mailing holly@newwritingnorth.com or calling the New Writing North office 0191 204 8850.